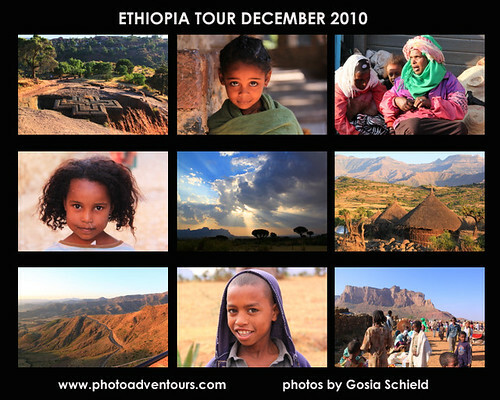 � Handling trips of all kinds of packages for groups or individual tours to Ethiopia. � Providing professional guides who can speak different languages. � Car rental. � Handling transport services for groups and individuals. � Booking for local flights and making hotel reservations. � Executing daily tours and excursions. � Planning and executing both special-interest programs and sightseeing tours. � Preparing cultural programs and religious tours.. � Preparing special events. Viva Ethiopia Tour is a tour company based in Addis Ababa, Ethiopia and with a representative team in USA. With a team of well-experienced professionals, we provide the best vacations in Ethiopia. We have the widest choices of well-designed tours for groups and individuals throughout Ethiopia. Contact us to design a tour just for you that fits your schedule and budget whether you are on vacation or on a business trip. We will take you to the most beautiful destinations, tented camps and lodges in Ethiopia. We also specialize in car rentals and accommodation arrangements for business travelers. Our tour packages include cultural tours, historical tours, festival tours, adventure tours, safari, trekking, filming in Ethiopia, bird watching, and so much more. We are thrilled to invite you to experience the path less traveled and the mystery of the open road. We specialize in excursions, holiday/vacation tours and travel, business tours and travel, study/educational tours and travel, family holidays, packaged tours, cultural tourism, historical tourism, event management and group travel, all of which can include activities and services including mountain and desert trekking, bird watching, fishing, safaris of all types, mountain climbing, water rafting, car hire, wedding and honey moon arrangements, airport transfers and accommodation booking. Our team of bilingual and multidisciplinary tour guides have worked in association with students� organizations, a TV production crew, independent travelers and scientific study groups from many different countries around the world to explore, study and discover this great country of Ethiopia. Ethio Renaissance Tours is staffed with experienced tour operators, guides, driver-guides and cooks, etc. Our drivers/tour guides have traveled widely throughout the country and beyond, and are well acquainted with all areas. We operate modern, well equipped 4x4 Land Cruisers and 4WD buses suitable for Ethiopia's climate and road conditions (terrain) and consequently our clients are unlikely to experience any discomfort during our tours both within Ethiopia and across her boundaries. Additionally, Ethio Renaissance Tour�s cooks are experienced professionals trained in certified colleges throughout the country. They are able to prepare delicious local and international meals. Adonay have a philosophy that developed from years of experience. Customer satisfaction is the only means to stay in the market, and the way in making the good name and good will in the international tourism business. We provide Historical, cultural, bird watching, wild life, volcanic tours through out Ethiopia with an extension tours to the neighboring countries of Djibouti, Kenya and Sudan and have first hand knowledge of most of the destinations we offer. . We are providing our tours in different kinds of transportation, Airplane, mini bus, bus, four wheel drive, boats, and mules. The means of transportation we provide you are the best available and up to the international standards, we are committed to serve our customers with maximum care oriented to the ultimate customer satisfaction.